In search of inexpensive inventory, he would travel throughout the northeastern U.S. to buy broken guitars, mandolins and banjos, bring them back to Canada to repair and sell. At the same time he began building – banjos & dulcimers at first, and then guitars. 1983 Edward’s ongoing desire to learn led him to move to New York to work with Robert Meadow, training to build museum reproductions of 17th century lutes and baroque guitars. He returned to Canada and from 1986 – 1995 worked as repair manager for the Ottawa Folklore Centre, while at the same time building steel string and classical guitars, harps, bouzoukis, and sound sculptures out of his home studio. Edward and his wife Vanessa loved their numerous visits to Colorado and in 1995 decided to settle there. 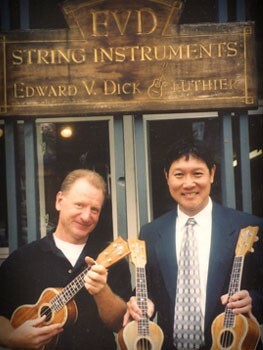 EVD String Instruments found its home at 1869 S. Pearl St. in Denver where Edward continued building a variety of custom instruments including a new hybrid he called the Banjola. (see www.banjolas.com) At the same time Edward set up a part time repair shop at the Old Towne Pickin’ Parlor in Arvada. In 2000 Edward built a new building studio at his home. 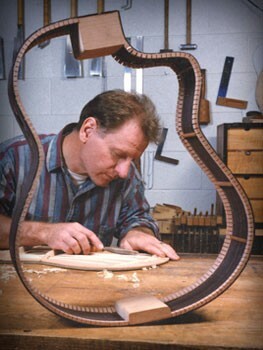 In 2002 he established The Colorado School of Lutherie at the OTPP where he continued to serve as the repair manager until 2011. “After 9/11 business came to an abrupt pause. I’d always enjoyed teaching and a couple of clients suggested that if I started a guitar building class, they’d be the first to sign up. I put up a few flyers and within weeks that first class was filled. I realized that sharing what I had learned and watching others discover the wonderful world of wood and glue, tools and tone, was perhaps even more exciting than doing it on my own”. 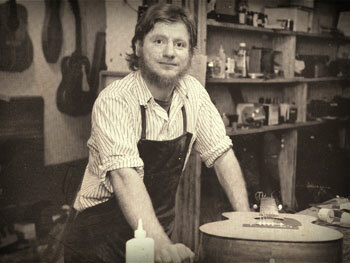 Since then Edward has guided over 100 students through the process of guitarbuilding. Several have gone on work professionally. 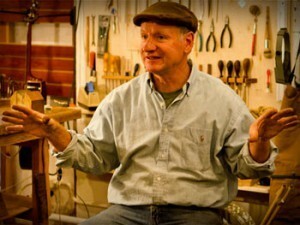 In his new shop there is now a whole wall devoted to marketing the work of Colorado Luthiers. 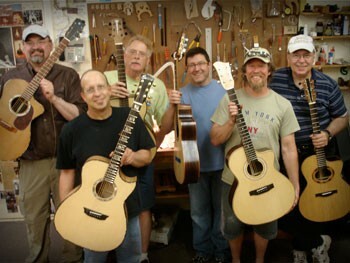 The need for expanded teaching facilities prompted Edward to establish this new storefront – Victor Guitar in 2011. The instruction area has been greatly expanded, workbenches have been added and master luthier instructor Robbie O’Brien has been added to the faculty. In 2011 the need for expanded teaching facilities prompted Edward to establish a new storefront at 1457 S. Broadway in Denver named Victor Guitar. The instruction area was greatly expanded, and instructors Thomas Crump and Heath Rothgeb were added to the faculty. 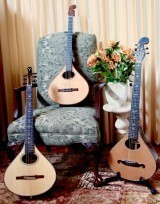 The Colorado School of Lutherie has since graduated over 300 students. Edward took on his first apprentice in 1977 and has since trained 13 others. In 2014 he initiated an Internship program to specifically help those who intend to become professional luthiers. To date he has been responsible for over 40,000 repairs and he recently completed building instrument #434.